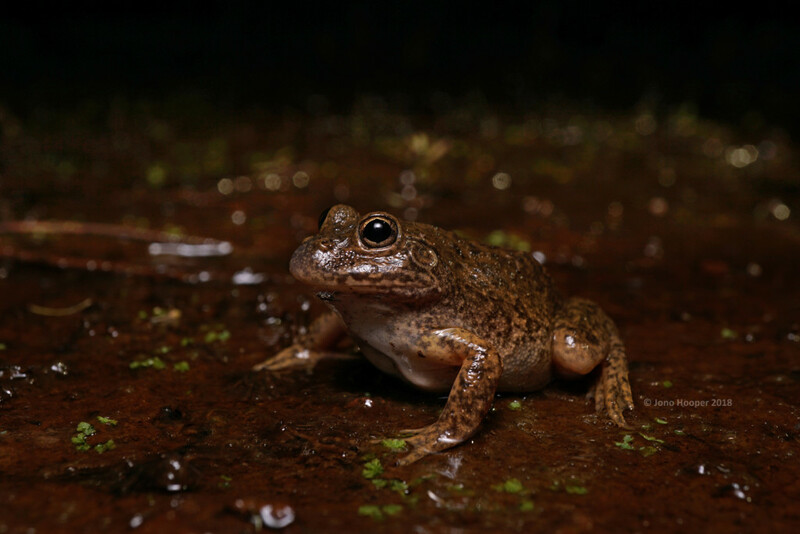 The following recount of this south-west WA frogging trip Aaron Payne and I undertook in October 2018 was written by Aaron in his typical style, following our return home, and is reproduced here with minor edits by Aaron’s permission prior to his disappearance on 20th October 2018. 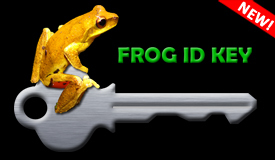 More recently, Aaron’s dad Peter kindly gave permission for Aaron’s recount to be reproduced here so that our final frogging adventure and Aaron’s achievement of his 200th Australian frog species find can be shared and remembered by all who knew him. Furthermore, it is hoped this serves as a small reminder of Aaron’s contributions to our knowledge of Australia’s frogs, tadpoles and populations. After a bit of faffing around waiting for my luggage and more delays with picking up the hire car and working out which terminal Jono had arrived at, we managed to hit the road to Walpole a bit later than anticipated. On the way south we saw a Tiger Snake (Notechis scutatus) being struck by the vehicle in front, which caused the snake to go airborne momentarily. Arriving in Walpole after dark and making our way west to where the frogs were, we were greeted by a steadily increasing drizzle. Walking up the sandy track at the site we encountered Motorbike Bell Frogs (Litoria moorei) and Sand Owl Frogs (Heleioporus psammophilus) by eyeshine. In the distance Western Banjo Frogs (Limnodynastes dorsalis) and Slender Tree Frogs (Litoria adelaidensis) were calling. Where the track ran parallel with the peaty bogs we were targeting, the soft double note we were listening for could be heard in the distance. Pushing through dense heath to where the vegetation opened up into a more grassy meadow, we were soon stepping across small pools amongst the vegetation. Getting closer to the calls and waiting patiently, Jono managed to spot our target Sunset Frog (Spicospina flammocaerulea)! A stunning frog and a great way to start the trip. Feeling relieved we walked back along the track the way we came where I spotted a second Sunset Frog, this time a female crossing on her way to the swamp. 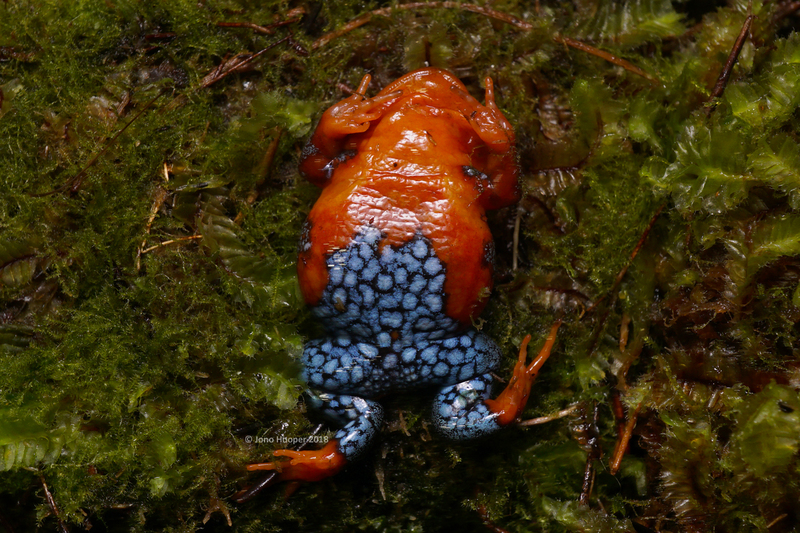 Sunset Frog (Spicospina flammocaerulea) ventral shot sowing brightly-coloured patterning reminiscent of a sunset, after which the frog was named. Leaving this spot we drove back west of Walpole to where densely vegetated drainage lines crossed the road. 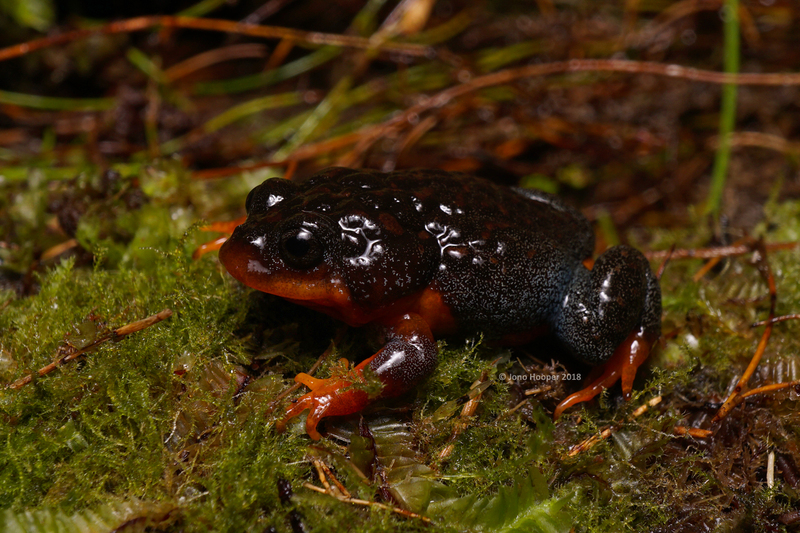 We heard Walpole Smooth Froglets (Geocrinia lutea) but were unable to find any. I had been to this spot 2 years prior and they were much more numerous and closer to the road. We settled in for a fitful sleep in the car as the rain began to pelt down. Waking up the next morning after a long night of frogging the rain was still falling in Walpole. We drove west to Albany and then up through the Stirling Ranges to Camel Lake Nature Reserve for a bit of reconnaissance. 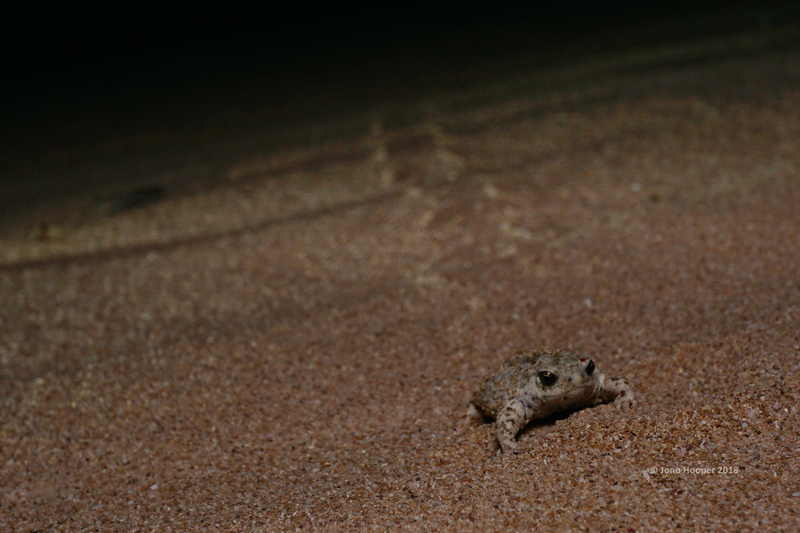 It was looking quite dry and barren there so we suspected we might not find Turtle Frogs that night. Returning to Albany and our motel we had a quick nap and I managed to break my toe, which would hamper my movements for the rest of the trip. Most of our frog targets for this area could be found further west of Albany at Mettler Lake Nature Reserve. However we were disappointed to see one spot was completely dry. Jono could hear frogs calling in the direction of the main lake. We kitted up and started the walk down to the lake. As we got closer it was teeming with frog life. 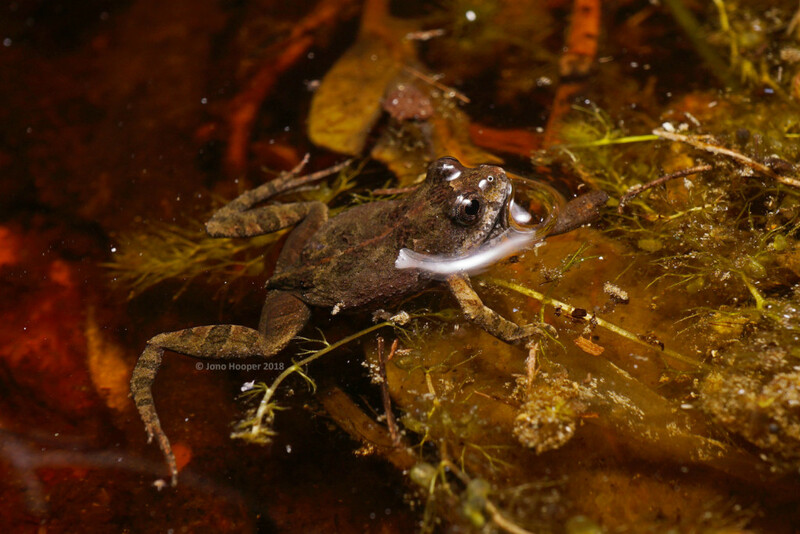 Massive numbers of Slender Tree Frogs (Litoria adelaidensis) were calling along with reasonable numbers of Spotted-thighed Bell Frogs (Litoria cyclorhyncha) and Western Banjo Frogs (Limnodynastes dorsalis). 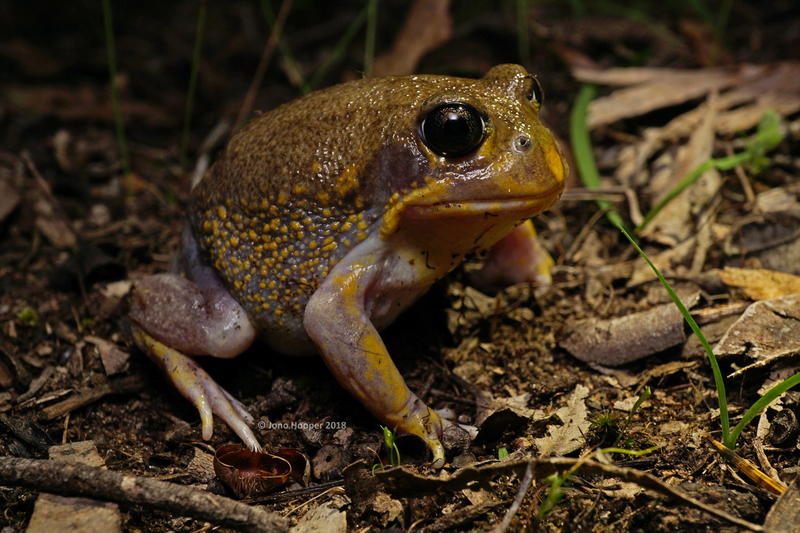 One of the Litoria cyclorhyncha looked like a hybrid with L. moorei and the area around Albany is known to be a hybrid zone. Hiding in the shallows away from the larger frogs were Bleating Froglets (Crinia pseudinsignifera) and South Coast Froglets (Crinia subinsignifera). 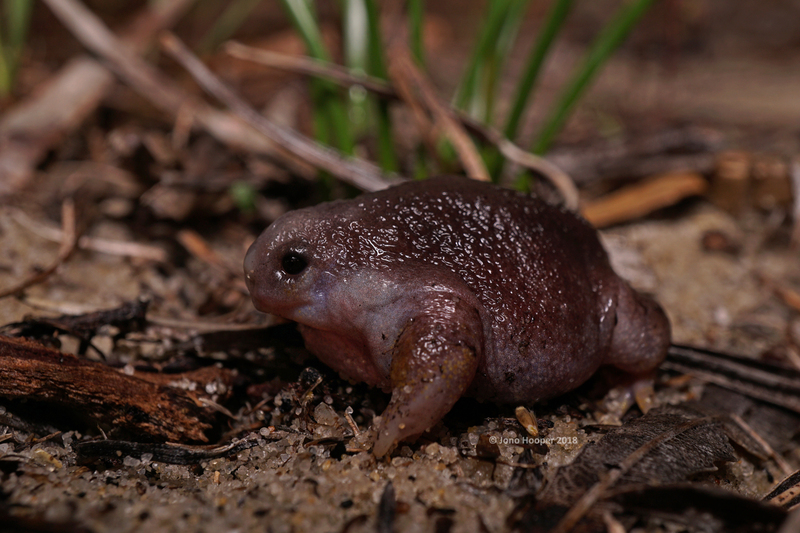 Driving back to the dried out swamp we visited earlier and whilst walking around, Jono was able to spot the first of a few White-footed Trilling Frogs (Neobatrachus albipes) sitting out on wet soil. I was very happy to see this species as it had eluded me a few times on previous visits. Chancing our luck we drove through the Stirlings to Camel Lake but no sign of any frogs, which was disappointing. We also explored Mount Clarence in Albany which has records of Forest Froglet (Metacrinia nichollsi) but there was no sign of frogs. We returned back to Albany for a well-earned sleep in a motel room. Leaving the south coast behind we drove into the heart of the Wheatbelt with Kellerberin being our base. We checked into one of the few accommodation options in the town, which was a reconverted hospice for children with asthma. One of the more interesting places I’ve slept in with great architectural and period features. One of the ladies who worked there told us there was a pond of water near her place on the south side of Kellerberin that had frogs calling the night before so our hopes were immediately raised despite the lack of recent rain! We drove north to Durokoppin Nature Reserve about 25km north of Kellerberin but it was looking particularly dead and dry. 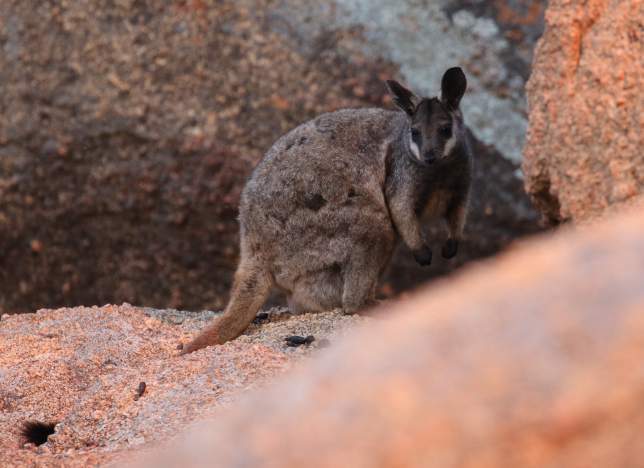 Turning south we ventured to Mount Caroline Nature Reserve which is dominated by a large granite outcrop which is home to the endangered Wheatbelt population of the Black-flanked Rock Wallaby (Petrogale lateralis lateralis). As the sun set we were able to see a few foraging on the rocks but they were extremely shy and flighty. As dusk settled there were subtle hoots from Heleioporus species which sounded like H. barycragus but should be H. albopunctatus based on where we were. 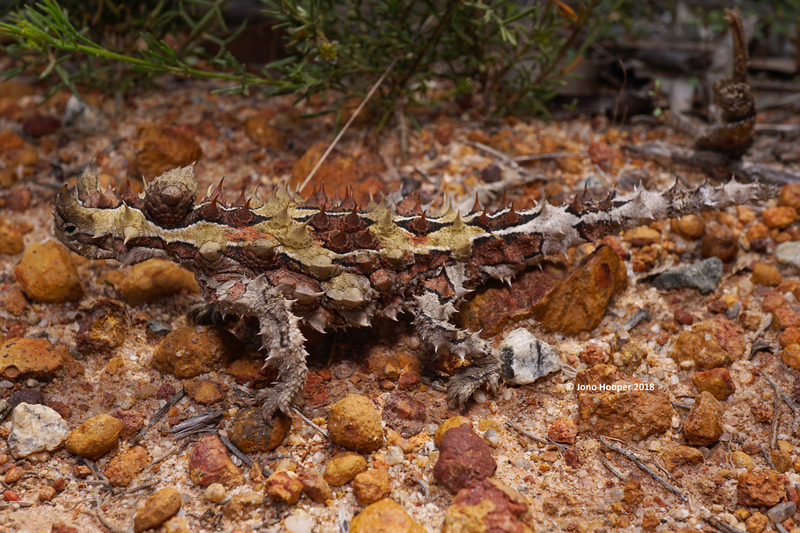 Jono found a nice Fine-faced Stone Gecko (Diplodactylus pulcher) under a rock and there were several Ornate Crevice Dragons (Ctenophorus ornatus) around. 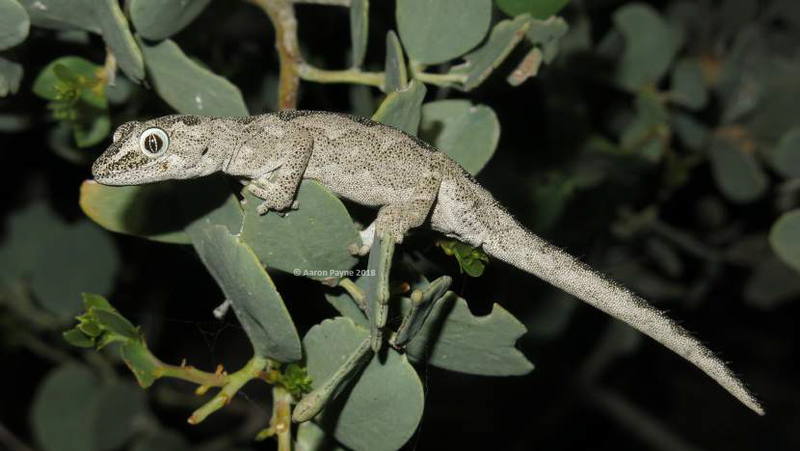 Also seen was the Western Tree Dtella (Geyhra variegata). In the distance in some old farm dams several Kunapalari Trilling Frogs (Neobatrachus kunapalari) and Bleating Froglets (Crinia pseudinsignifera) were heard and seen. We came across a few sitting out in the bushland on the way back to the car. 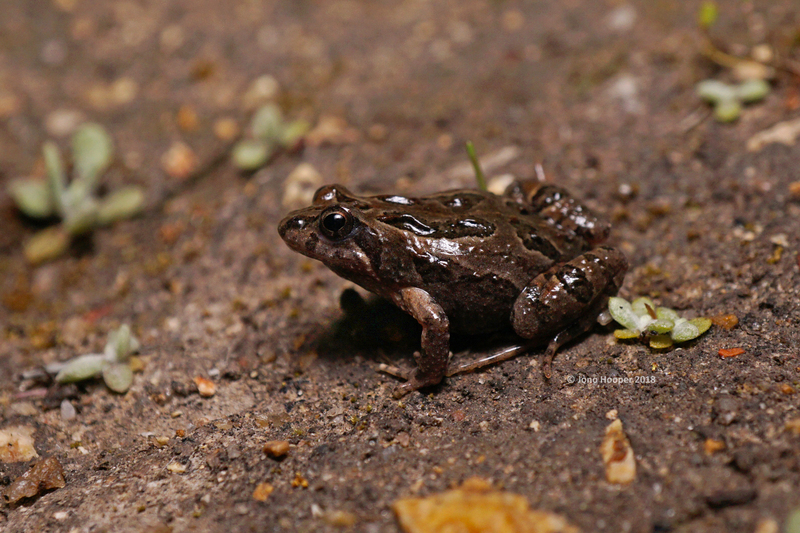 Closer to the car were some Spotted Owl Frogs (Heleioporus albopunctatus). These two species took me to 198 and 199 Australian frogs. Driving back to Kellerberin to the pond we were told about earlier in the day we could hear some Kunapalari Trilling Frogs (Neobatrachus kunapalari) calling. The local constabulary came along to investigate as we had obviously concerned the local people of the town whilst we were wandering around at night with torches. They were reassured we were just looking for frogs and let us continue on our search. In another bout of optimism we checked some dams near Durokoppin NR but nothing was calling. We returned to the accommodation for a well-earned sleep. 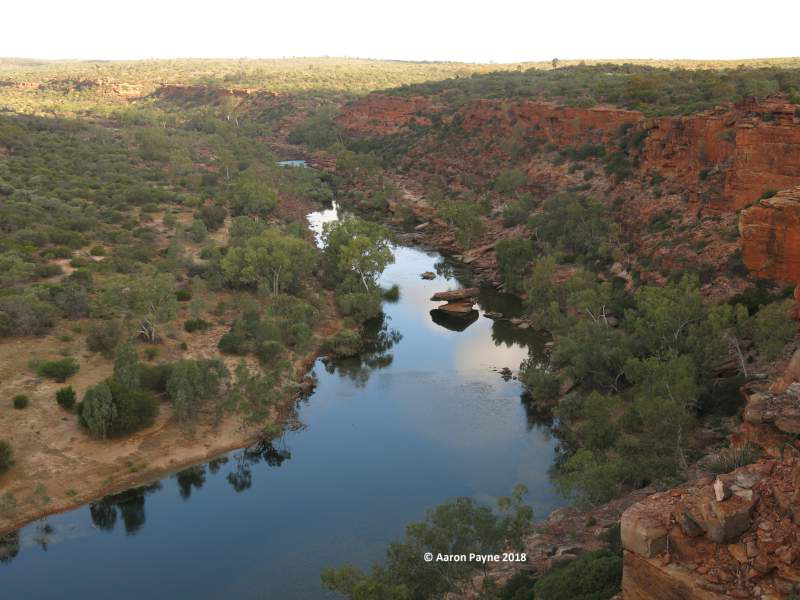 One of the longer drives on the trip would take us from Kellerberin to Kalbarri via the coastal city of Geraldton. 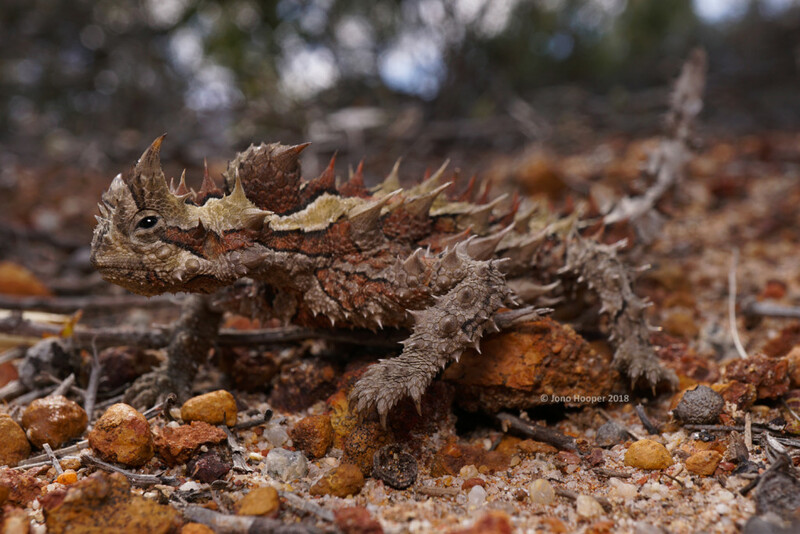 Before we reached Geraldton we did manage to see the only Thorny Devil (Moloch horridus) of the trip, crossing the road. 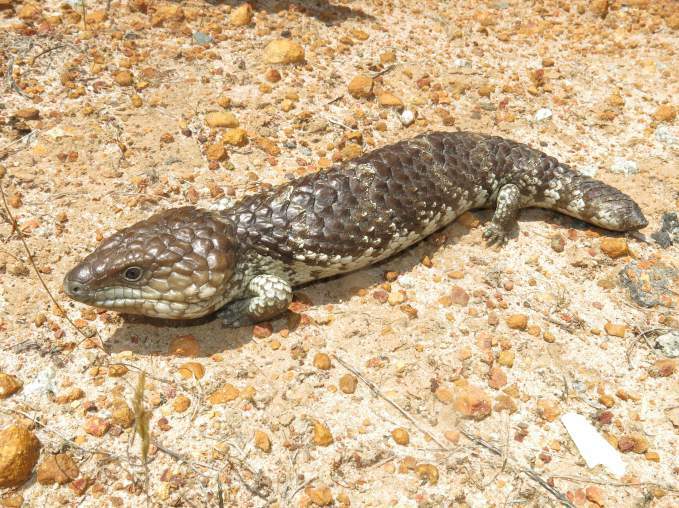 There were also a few Shinglebacks (Tiliqua rugosa) on the roads as well. 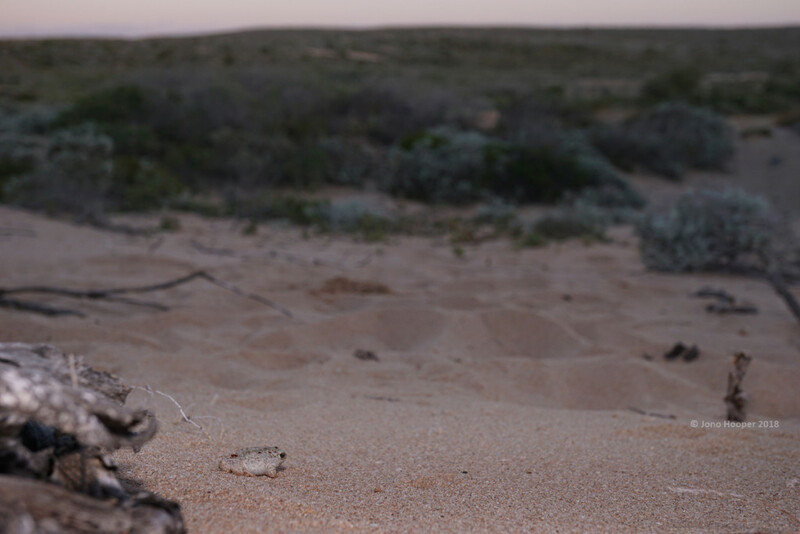 The dry conditions meant that reptiles would be a big part of our time at Kalbarri. 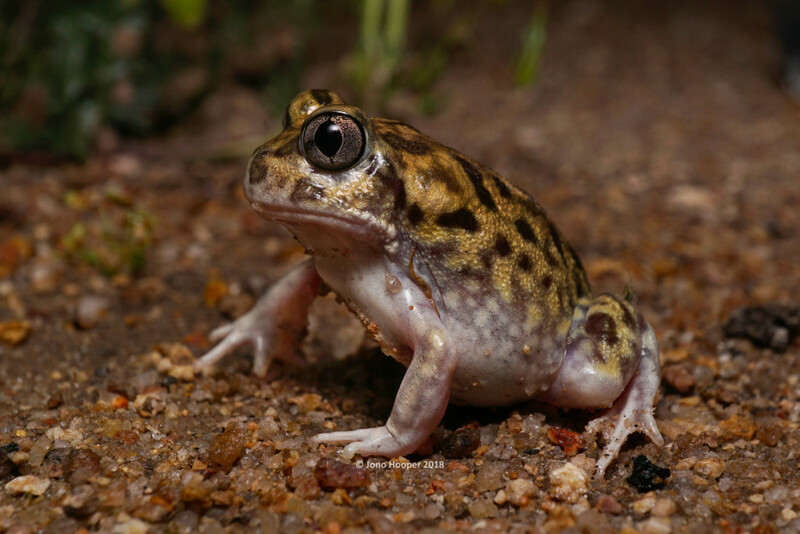 The only frog found at Kalbarri was another Spotted Owl Frog (Heleioporus albopunctatus) with this one being more yellow than those the previous night at Mount Caroline. 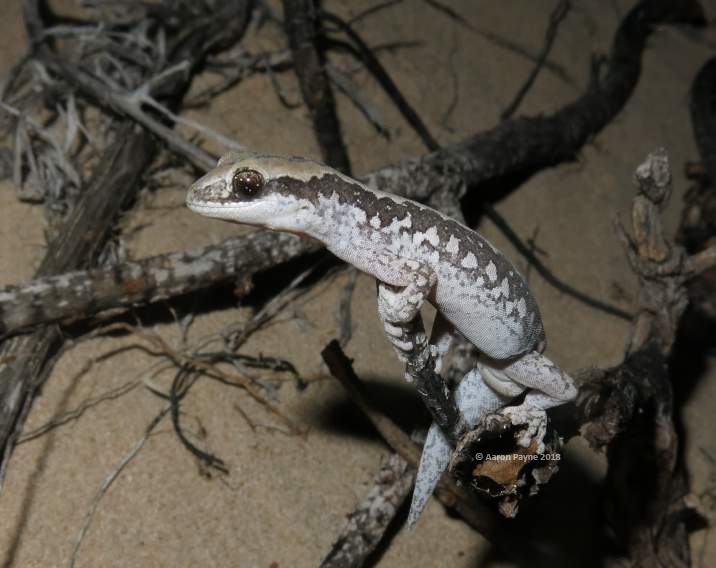 Numerous geckos were out including Smooth Knob-tailed Gecko (Nephrurus levis occidentalis), Soft Spiny-tailed Gecko (Strophurus spinigerus spinigerus) and White-spotted Ground Gecko (Lucasium alboguttatum). increasing petrol prices. Hamelin Pool was a nice detour to see the famous stromatolites. A party of Red-capped Plover (Charadrius ruficapillus) were feeding amongst the bacteria mats. A pair of pale Brown Falcon (Falco berigora) were a nice sight as well. A detour to the famous Monkey Mia was disappointing with nonexistent dolphins and no sign of the supposedly reliable Western Grasswren (Amytornis textilis). After a quick lunch in Denham we drove west past the point of no return into remote Edel Land peninsula. 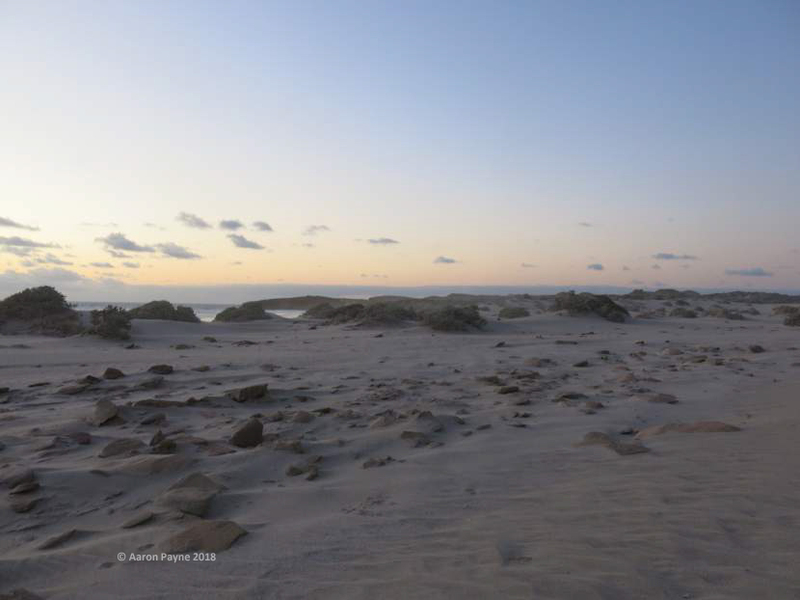 This inhospitable land is a series of tall sand dunes hemmed in by the ocean on one side and the desert on the other. 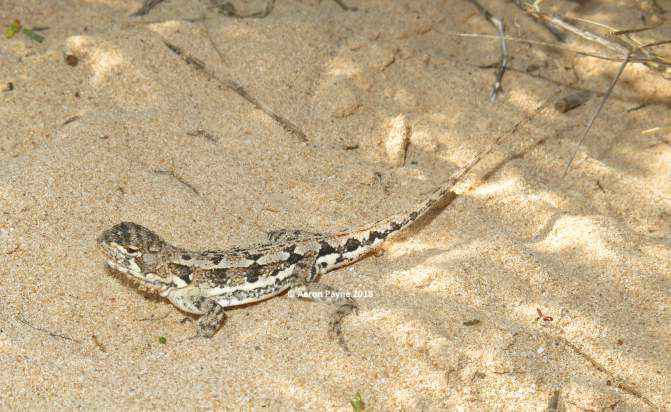 Several dragons were running around the afternoon sun including the Shark Bay Heath Dragon (Ctenophorus butleri). 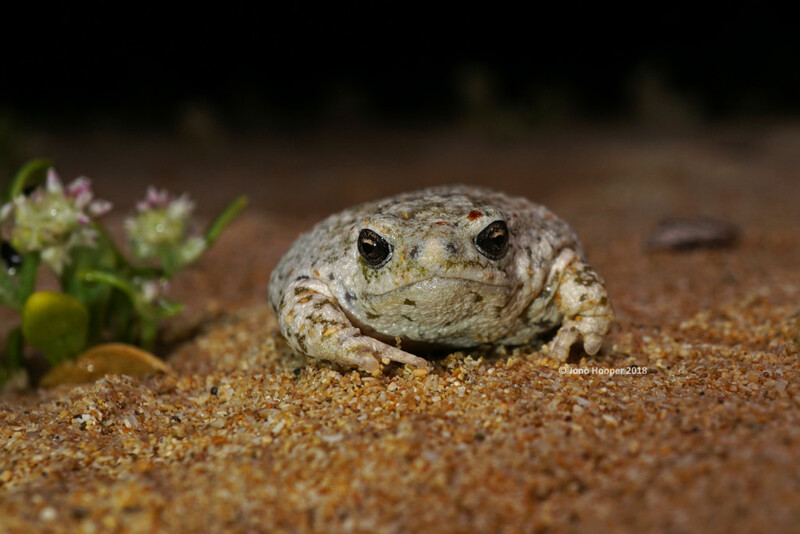 The target species was the Northern Sandhill Frog (Arenophryne rotunda) which is confined to the western edges of the peninsula. While they weren’t active on the surface at night, we managed to find a few by following their tracks to where they buried themselves. 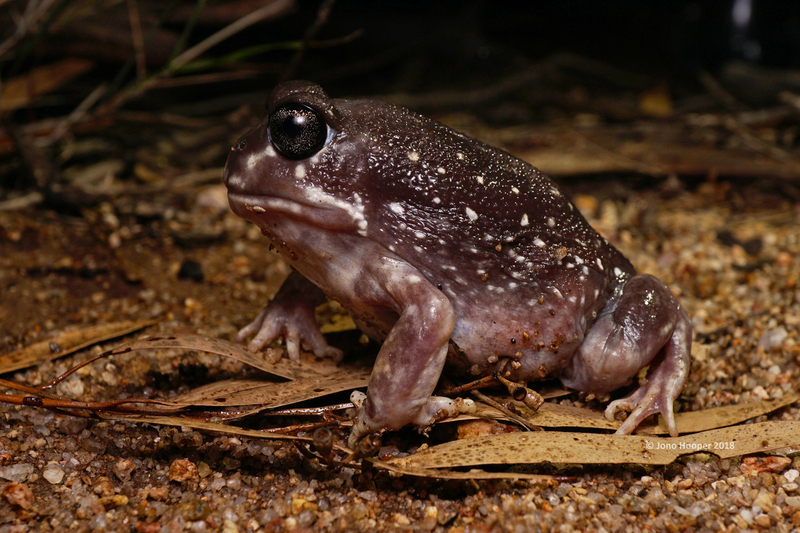 A big relief to see this species after the failure at Kalbarri for its southern relative and a good way to bring up my 200th Australian frog. We saw frogs at both False Entrance and at another location. 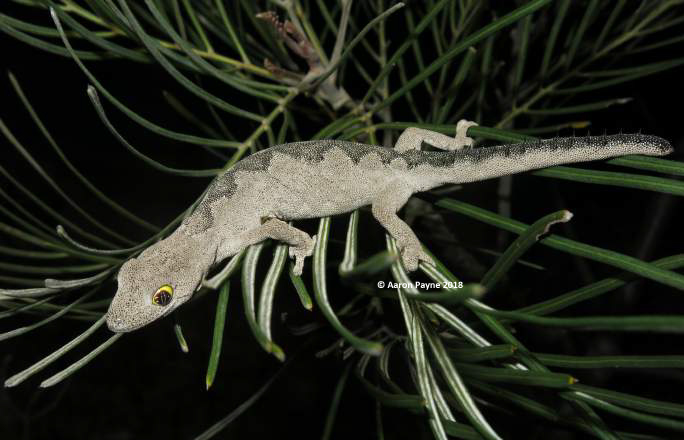 Also here is a different subspecies of the Soft Spiny-tailed Gecko (Strophurus spinigerus inornatus) and Ornate Stone Gecko (Diplodactylus ornatus). 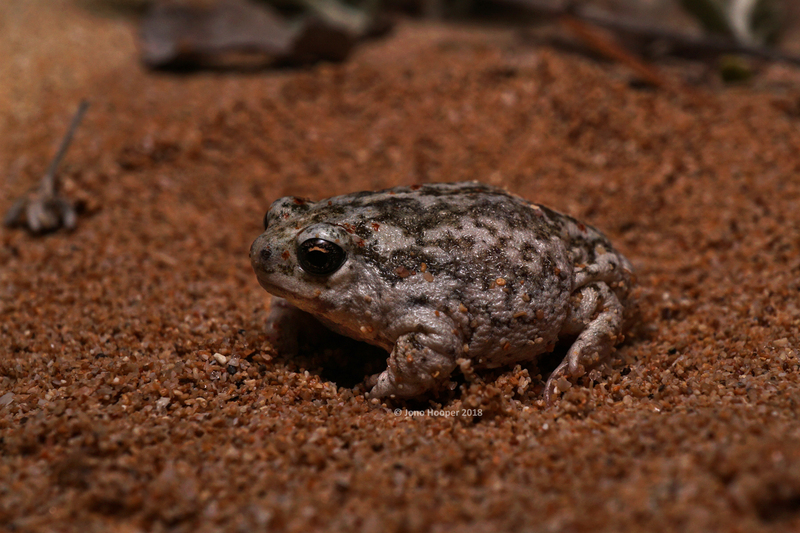 Northern Sandhill Frog (Arenophryne rotunda). 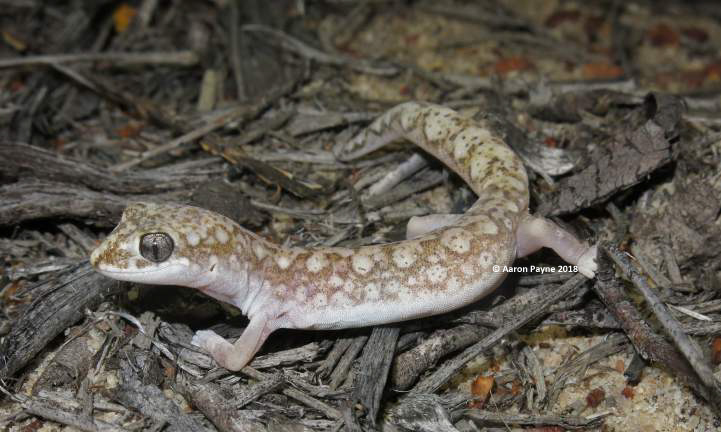 Aaron’s 200th species and my 118th. Northern Sandhill Frog (Arenophryne rotunda) with distinct tracks in background. Northern Sandhill Frog (Arenophryne rotunda) on a sand dune. Watch as we make the exciting find in the dune! After a bone jarring ride out to Edel Land it was nice to hit the bitumen turning south to Yalgoo. 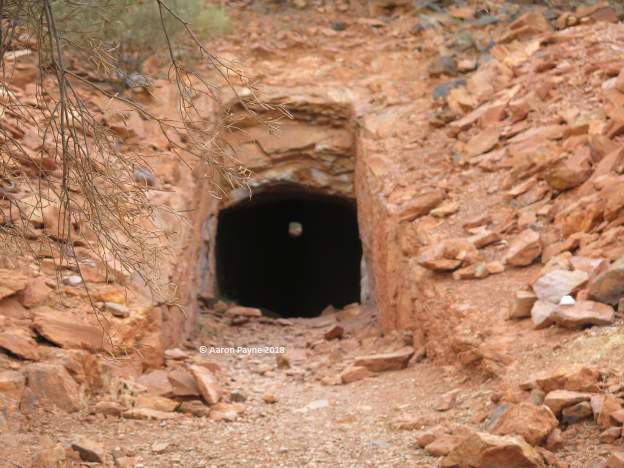 Yalgoo is a bit of a dead-end town with very little to recommend it. We stayed in the caravan park there which was pleasant enough. The local pub had the famous ‘Goo Burger’ which consisted of several different cuts of meat compressed between two hamburger buns and was quite a challenge to consume. There was no water around the town other than a puddle in a culvert and a water filled depression almost 50km west. So it was here we focused our energies. On the drive out at night we turned up a nicely marked Rosen’s Snake (Suta fasciata). 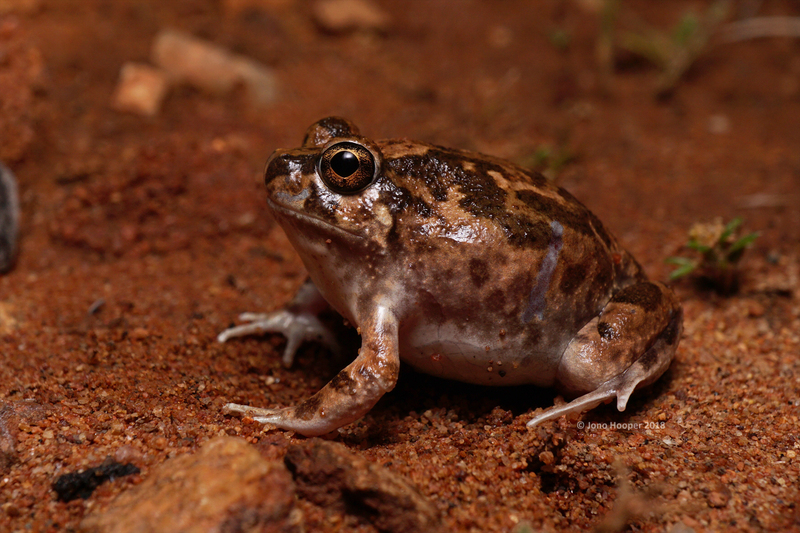 Around the water there was a sole Spencer’s Burrowing Frog (Platyplectrum spenceri) which was new for Jono. 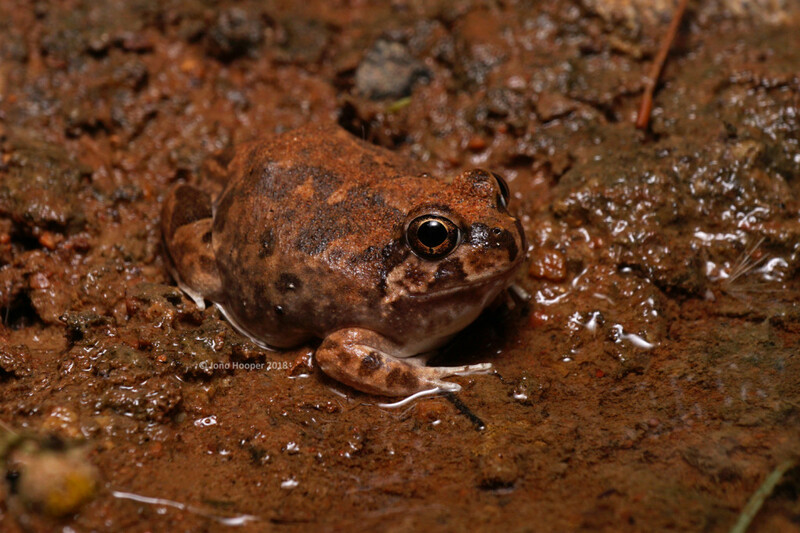 The highlight for me was seeing a Western Water-holding Frog (Cyclorana occidentalis), which meant I once again had the full set of Cyclorana species. 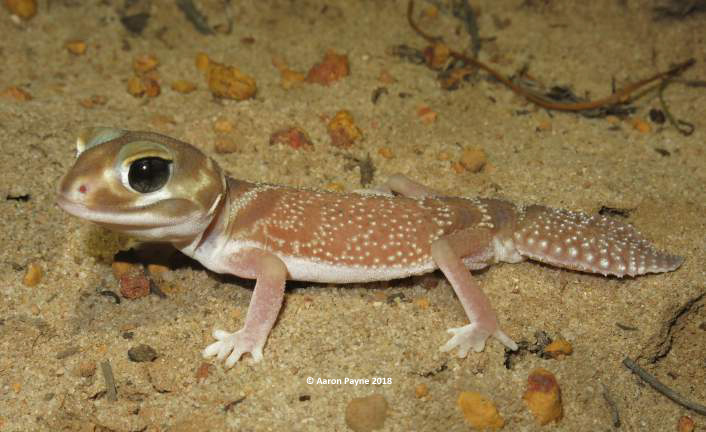 Closer to town we got the first Western Spiny-tailed Gecko (Strophurus strophurus) of the trip and Desert Tree Frogs (Litoria rubella) were seen around the caravan park. 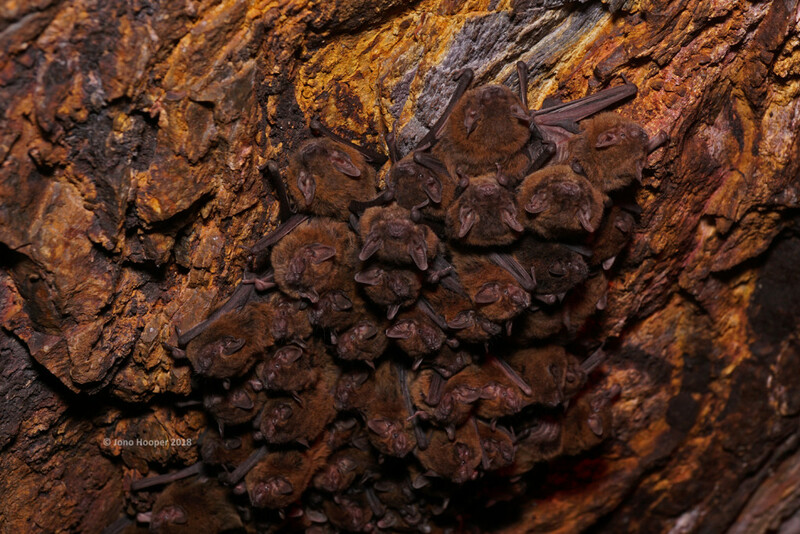 Before driving to Perth we called into an abandoned mine shaft near Yalgoo and got good views of Inland Cave Bats (Vespadelus finalaysoni). Around Perth, Splendid Fairy-wrens (Malarus splendens) were in breeding plumage. 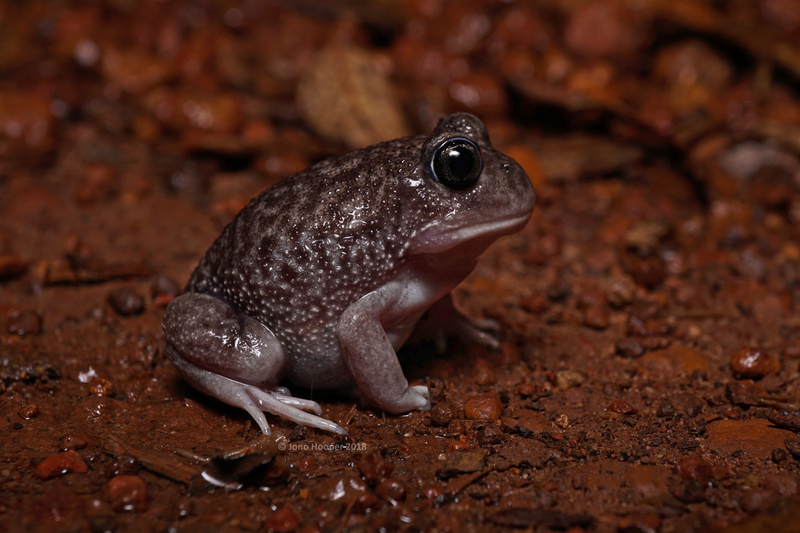 As light showers fell across Perth and the Darling Range, we were optimistic of finding some more frogs. First stop after nightfall was in the city’s west. 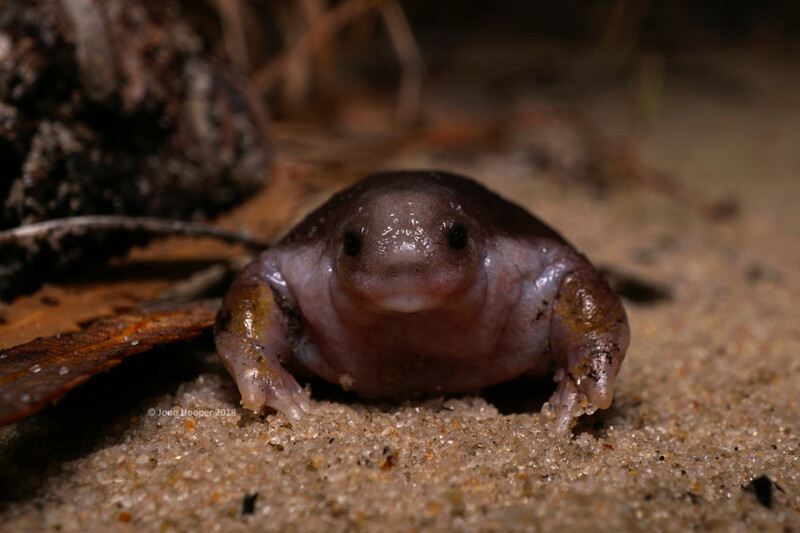 After some listening, the calls of the Turtle Frogs (Myobatrachus gouldii) were heard which was a new species for the both of us. Moaning Owl Frogs (Heleioporus eyrei) were also here at Bold Park as well as a noisy Tawny Frogmouth. Turtle Frog (Myobatrachus gouldii). A very exicting find! 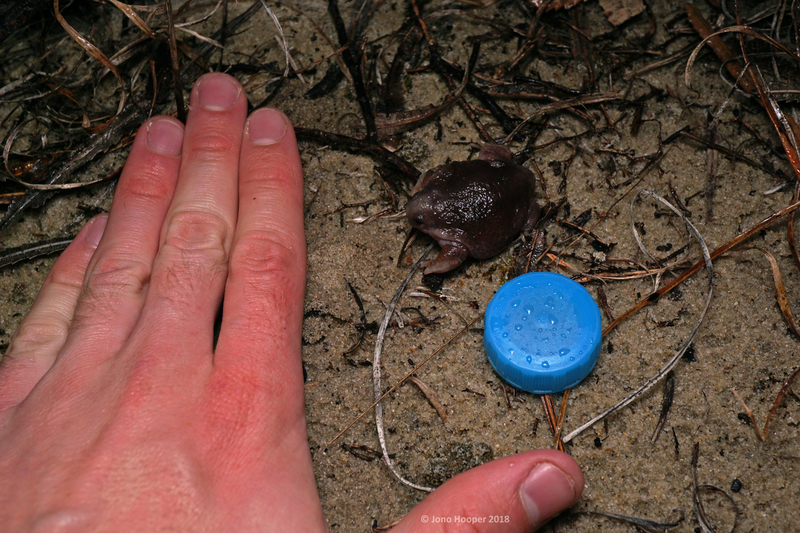 Turtle Frog (Myobatrachus gouldii) in context for size. We drove east chasing the rains up the Darling Scarp. 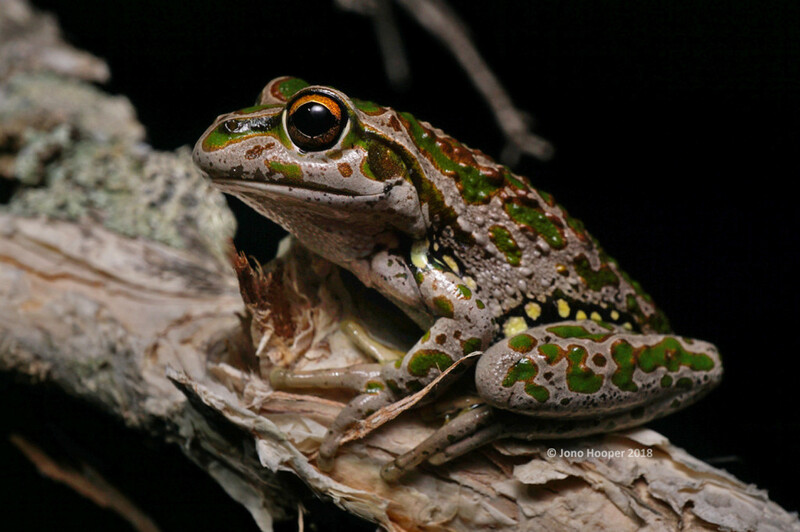 Western Owl Frogs (Heleioporus barycragus) were common along drainage lines. 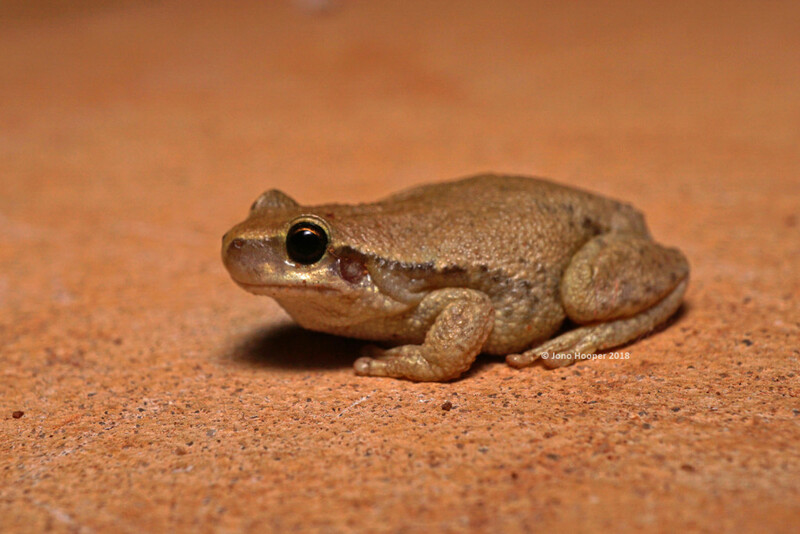 Along with Motorbike Bell Frogs (Litoria moorei), Western Banjo Frogs (Limnodynastes dorsalis) and Slender Tree Frogs (Litoria adelaidensis). 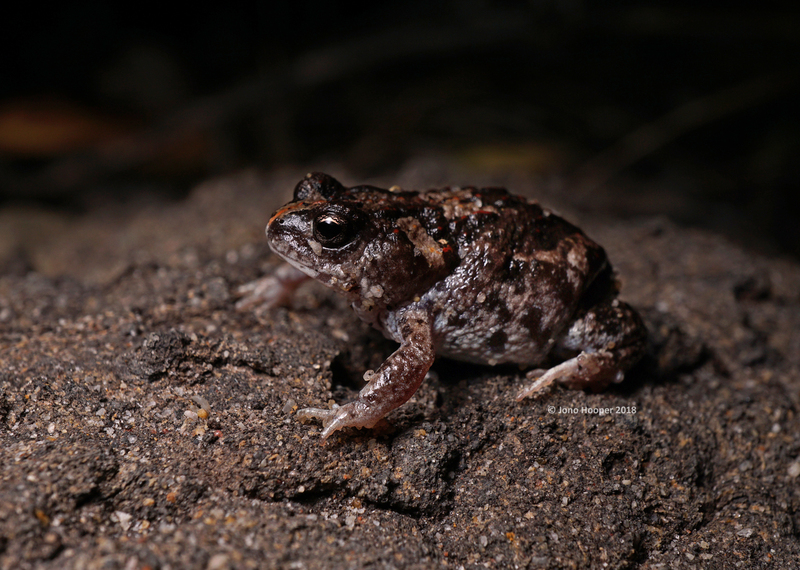 A single Sand Owl Frog (Heleioporus psammophilus) was seen but there was no sight or sound of the Plain Owl Frog (Heleioporus inornatus). 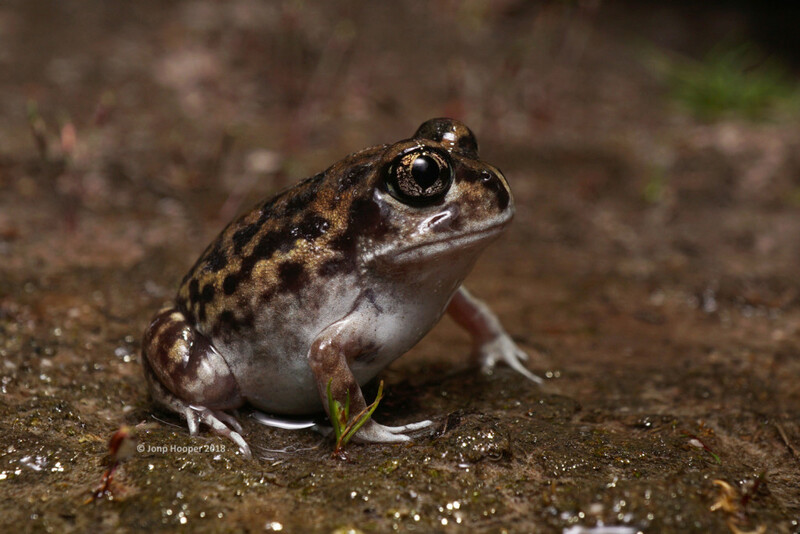 Around the eastern lowlands of Perth near the city of Armadale we got numerous metamorph Humming Trilling Frogs (Neobatrachus pelobatoides), adult and juvenile Guenther’s Brood Frog (Pseudophryne guentheri) and more Moaning Owl Frogs (Heleioporus eyrei). This marked the end of a very productive frogging trip with 8 new frogs for me, 15 new frogs for Jono and several new reptiles for us both. This entry was tagged Aaron Payne, Albany, Arenophryne rotunda, Black-flanked Rock Wallaby, Bleating Froglet, Crawling Toadlet, Crinia pseudinsignifera, Crinia subinsignifera, Cyclorana occidentalis; Platyplectrum spenceri, Edel Land peninsula, Gunther's Broodfrog, Heleioporus albopunctatus, Heleioporus barycragus, Heleioporus psammophilus, Jono Hooper, Kalbarri, Kellerberrin, Kunapalari Trilling Frog, Limnodynastes dorsalis, Litoria adelaidensis, Litoria cycloryncha, Litoria moorei, Moloch horridus, Motorbike Bell Frogs, Myobatrachus gouldii, Neobatrachus albipes, Neobatrachus kunapalari, Northern Sand Frog, Perth, Petrogale lateralis lateralis, Sand Owl Frog, Shark Bay, Shingleback, Slender Treefrog, South Coast Froglet, south-west, Spencer's Burrowing Frog, Spicospina flammocaerulea, Spotted Owl Frog, Spotted-thighed Bell frog, Sunset Frog, Thorny Devil, Tiliqua rugosa, Turtle Frog, WA, Walpole, Western Australia, Western Banjo Frog, Western owl frog, Western water-holding frog, White-footed Trilling Frog, Yalgoo. Bookmark the permalink. Thankyou Peter. I owe the thorough, no-nonsense recount of the trip to Aaron. I’m so grateful to have gone frogging with him that last time, and I’m humbled that this post has given you much happiness. May God bless you and your family through these trials.